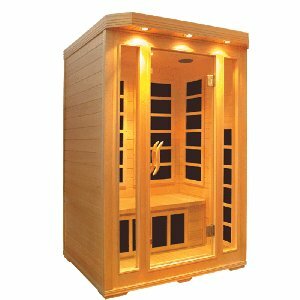 Regular use of an infrared sauna benefits your health in a number of ways. It raises your body temperature, which increases your circulation and mimics your body's natural response to bacteria and viruses, helping to keep your immune system healthy. Spending time in a sauna also increases perspiration which helps to flush toxins out of your body, lightening the workload of the liver and kidneys. 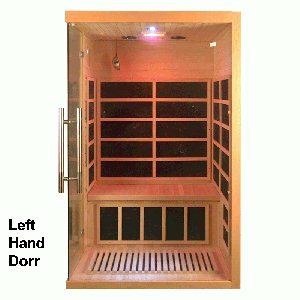 If you want to enjoy the benefits of regular sauna sessions without the inconvenience of having to go to the gym to use one, a home sauna is the answer. 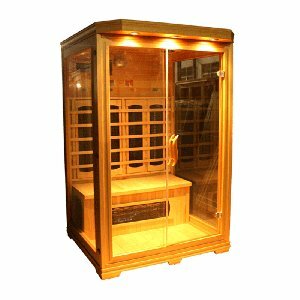 Our two person infrared saunas are compact enough to fit into your home, whilst being roomy enough to comfortably hold two people at once. Sharing the sauna experience with a friend can heighten the relaxation you'll feel. 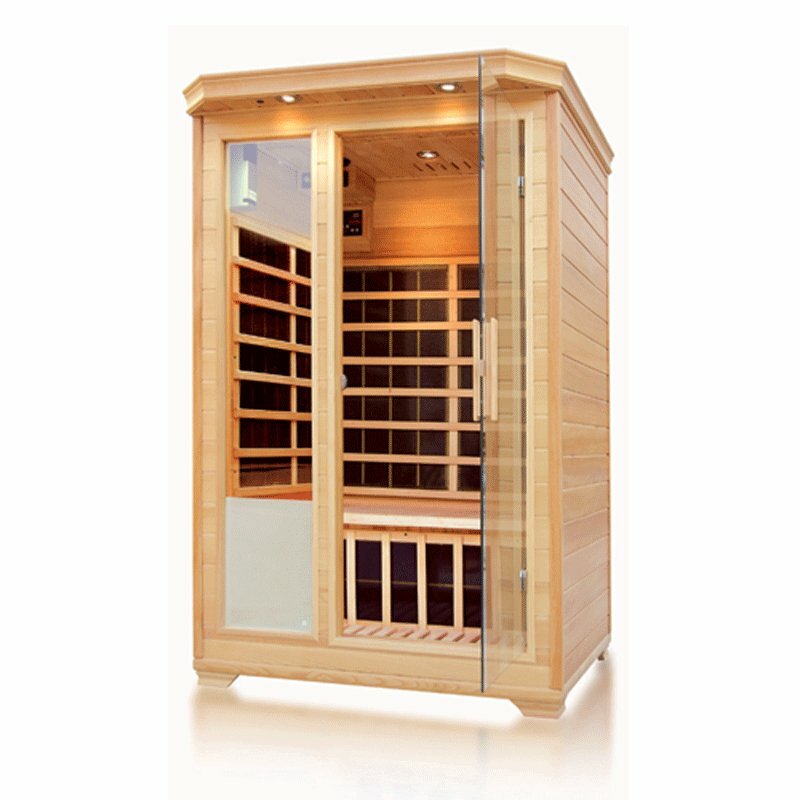 Here at UK Saunas all of our two person infrared saunas are manufactured by our expert team to the highest standards. 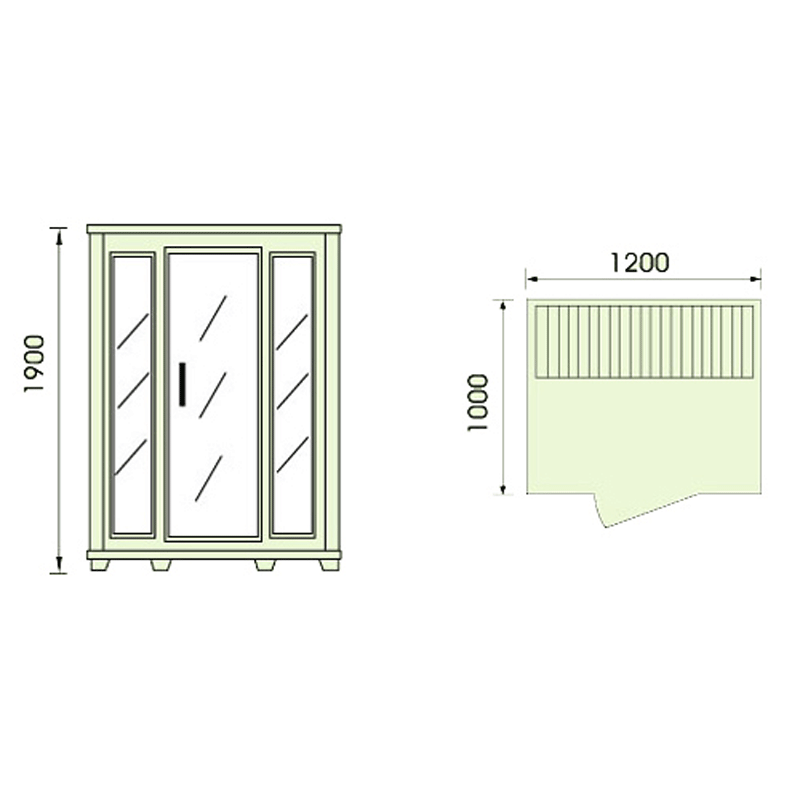 This particular sauna, model number EAT-002, is available with your choice of either Canadian Hardwood or Red Cedar wood, and your choice of either ceramic or carbon heating system.